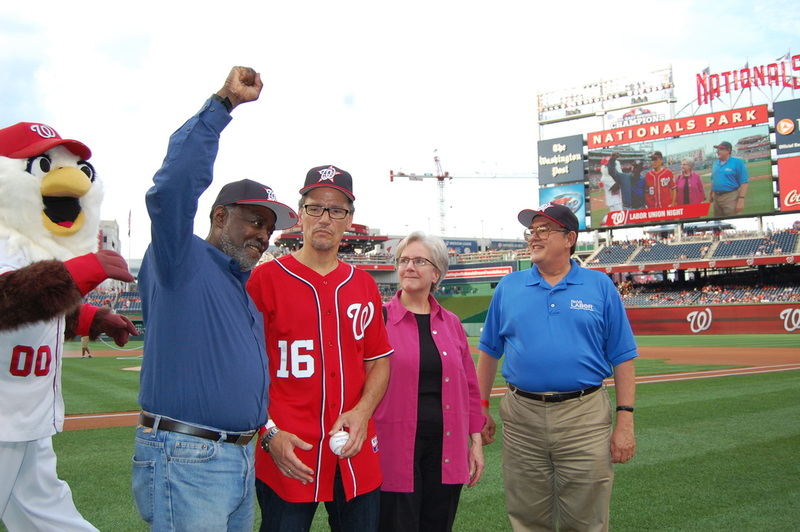 Save the date: Friday, July 28th is the 11th Annual Labor Night with the Washington Nationals baseball team. If you’re looking for a fun way to bond with fellow writers, a new place to rock your NWU T-shirt, and a great way to help fellow union members in need, then you should join the party. This year’s Nationals game is against the Colorado Rockies. Ticket proceeds will benefit the Metro Washington Council’s Community Services Agency. Last year it provided food baskets and gift cards to needy families. Ticket are $15 each. If you’re interested, email Ann Hoffman with your contact information and the number of tickets you’d like. She’ll be buying a block of seats from Kathleen McKirchy, executive director of the Metro Washington Council AFL-CIO, so that everyone can sit together. The deadline to order tickets is June 1st.